In 1941, 22 percent of all dwellings in Japan were owned by the people who inhabited them. By 1948, the portion had swelled to 48 percent in the cities and 67 percent nationally. Even before the war housing was at a premium, but thanks to the wholesale destruction of the Japanese archipelago during the final years of the war, it had become even more dear when the American occupation started. Inflation was rampant, and in order to make sure property prices didn’t spiral out of control a directive was issued in 1946 to freeze land prices and rents. It wasn’t the first time. Similar directives were issued in 1939 and 1940, but they were provisional. The 1946 directive was more open-ended, and the result was that landlords couldn’t raise rents. One of their countermeasures, at least in Tokyo, was to implement the now infamous koshinryo system: Every time the rental agreement expired, the landlord would charge the tenant an extra month or two worth of rent as a renewal fee. (This will be the topic of our next “Home Truths” column in the Japan Times on Tuesday) However, most landlords, unable to pass on maintenance costs, simply sold the properties to their tenants. Moreover, there was no incentive to build new rental properties, so construction companies started building houses for the few people who could actually afford to buy them. Ever since then, there have been more homeowners than renters in Japan. The home ownership rate first peaked to 71 percent in 1958, then slid down to 64 percent by 1963 and 60 percent by 1968. The main reason is that more people migrated to cities for jobs. They couldn’t afford to buy houses, so more rental properties were built in urban and suburban areas. However, by this point home ownership became a national priority, since it spurred growth. With the population increasing and nuclear families replacing extended families as the household norm it wasn’t difficult for the government to promote home ownership through schems such as the Home Finance Law (1950), which made mortgages affordable; and the Public Housing Law (1955), which set up a government corporation to oversee the building of affordable rental properties in cities so that young families had a stepping stone to home ownership. The main problem is that in order to make home-ownership possible for the new generation of urban workers they had to be made relatively cheaply, since land prices have always been high. In other words, the houses themselves weren’t meant to outlast their mortgages. According to a survey by Daiichi Life Insurance, the home ownership rate for families consisting of more than two persons and whose head of household is a regular salaried employee peaked in 2008 at 81 percent. In the latest survey, the portion is down to 78 percent. This is significant since, in Japan at least, the common wisdom is that once you own a home you never go back to renting, and the survey also shows that the percentage of younger people (under 30) who are buying homes has gone up during that period. In other words, home ownership among the 40-54 age group is dropping. Daiichi speculates that younger people now believe that they have to buy a home as soon as possible, not just because the interest rates are low right now, but also because they suspect that the older they get the more difficult it will be to secure financing. This is a complete reversal of the conventional idea of home ownership, which says that you rent for a number of years and save your money and then finally purchase a home. The main difference now is job security, or rather lack of it. Prior to 1990, anyone with a regular job was not only guaranteed that job until retirement, but also could count on his or her (usually his) salary increasing at a predictable rate, and so could banks. Things are different now, and it’s easy to believe that once you reach, say, 40, banks are not going to take a chance on granting you a 35-year mortgage. Consequently, fewer people in the 40-54 age group who have yet to buy a home are actually going ahead and buying one. Another factor pulling down the home ownership rate is inheritance. The first generation of home owners, those who bought in the 1960s, are now very old. Their children likely have homes of their own and no desire to take over their parents’ houses, which then become abandoned as the parents become sick or die. This is one factor that is pushing up the vacancy rate. 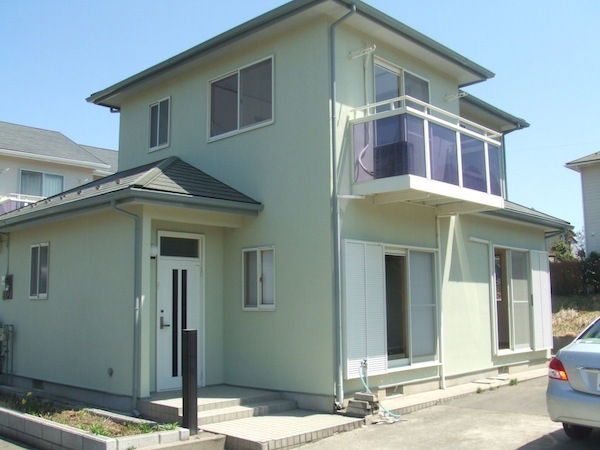 According to the Ministry of Internal Affairs and Communications, as of 2008 there were 7.57 million properties vacant throughout Japan, or 13.1 percent of total dwellings. That number has surely increased in the last three years. Daiichi guesses it might be as high as 8.5 million. This situation confounds the so-called dynasty model, which holds that since parents leave “legacies” in the form of property or businesses to their children, those children, expecting to receive those windfalls later in life, spend more of their income now, thus boosting consumption. However, the middle-aged children of the first wave of home owners are not taking over their parents’ properties. Encouraged by the government, they already bought homes and are still paying off loans. Unless they happen to be located in major urban areas, the parents’ properties are next to worthless anyway. Since the parents have no “assets” other than the cash they’ve saved, they are more reliant on their pensions. As far as promoting self-reliance goes, this non-dynastic model is pretty good; but it doesn’t do much for the economy in the long-run. By promoting home-ownership at any cost, the government has created a system by which people are encouraged to purchase new homes as soon as they get the chance, thus leading to a surplus of superannuated, substandard properties that no one else will ever want to live in, much less buy. Interesting. Here I thought the short lifespan of Japanese housing was just another manifestation of hyper-rapid Japanese product cycles: buy an appliance, car, house, and then junk it after a few years for an eco-friendly replacement. See, Japan is a “green” country. happy to have found your blog and now studying it. there is is one question about housing no one could really answer me so far, maybe you can point me in the right direction? i want to know what happens if the building that you own a condominium in has reached its short japanese lifespan and is torn down eventually. you would have payed for quite some time into the renovation fund of the house and own a tiny percent of the land. so what can you expect then? any examples for that would be very interesting to me..